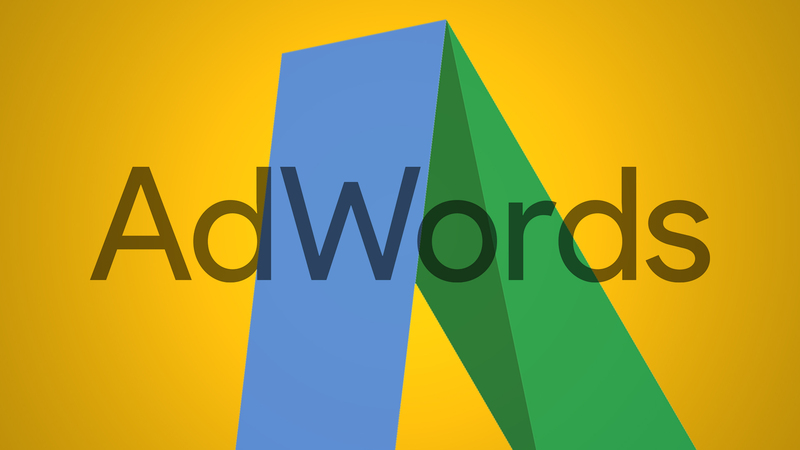 Big changes to device bidding in AdWords: What could they mean for your accounts? Anyone who runs PPC campaigns will be well aware that behavior varies across devices. Even if you don’t manage PPC accounts, you need only to think about yourself as a user (and what device you turn to for which actions) to appreciate the difference between mobile and desktop behavior. Acknowledging these differences and adjusting your strategy and bids for mobile devices is vital for campaign success, and Google has recently announced updates which could have a huge impact on your accounts if used effectively. Here we’ll look at exactly what those updates are and consider what they could mean long term. Before enhanced campaigns were released in 2013, it was possible to create separate campaigns for each device you wanted to target. However, multiple versions of each campaign complicated things, and as device usage proliferated, Google simplified the situation with enhanced campaigns. With just one campaign for all devices, you set your base bids for desktop and tablet together and then were able to apply a bid adjustment to mobile (-100 percent to +300 percent). Over the coming months, Google will be rolling out a change to enhanced campaigns that will allow you to set your base bids for any device and set bid adjustments for the others. Tablet has broken free of the shackles of desktop, and you get to choose which device is most important for your campaign and should thus act as the baseline. It should come as little surprise that Google felt the need to update enhanced campaigns when you think about how much mobile usage has changed in the last three years. Mobile traffic has now overtaken desktop, so having your mobile bids anchored to desktop and tablet had begun to seem antiquated. Plus, I’m sure many of you will know the frustration of seeing vast differences in performance between desktop and tablet and being able to do nothing about it. Well, nothing — unless you choose to take advantage of this change and use it to help your business. But here I’ll take a look at historical data from Merkle|Periscopix clients and think about how these two big changes could affect them. People often talk about how users behave on mobile and desktop: research or purchase, on the move or at a desk, fat thumbs or widescreen. But much less thought has gone into how people use their tablets. This is most likely because for three years, we’ve not had the ability to make actionable distinctions between tablet and desktop, as AdWords has lumped them in together. a research tool — but one that, thanks to screen size, I’d be more likely to purchase on than a mobile. In Q1 2016, bids were identical across desktop and tablet in all of our accounts, but interestingly, CPCs are 46 percent cheaper on tablet than desktop. 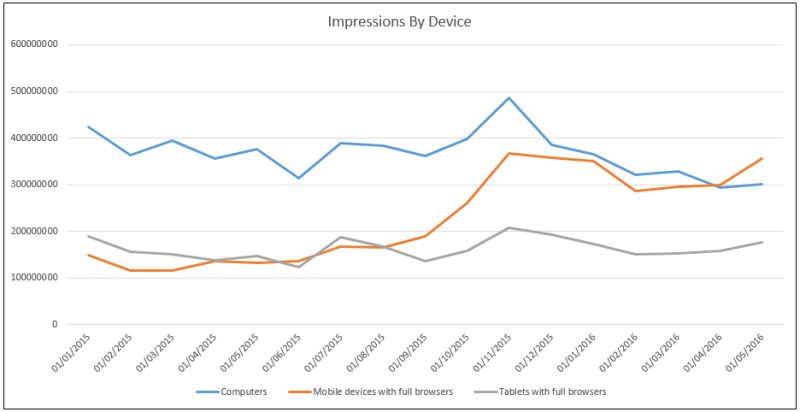 It’s likely the higher CTR on tablets could have contributed to this, with a higher Quality Score meaning lower CPCs. Also, inventory may be cheaper on tablets in general. It’s perhaps not too surprising to see that conversion rate is lower on tablets as, much like mobiles, people tend to use them for research before converting on a desktop. However, the CPCs are so much lower that despite the difference in conversion rate, tablet CPA was 25 percent lower than desktop. This isn’t the case for every client, though; in some instances, a much lower conversion rate on tablets means a significantly higher CPA than on desktops and/or smartphones. When it becomes possible to apply bid adjustments to tablets, for some clients we’ll be able to afford to be more aggressive with bids and significantly increase our impression share while still maintaining a lower CPA than on desktop. Not only could this help to drive more conversions on tablets themselves, but with them often being the first step in the user journey, it could end up driving conversions on desktop as well. For others, it might mean we can finally bring tablet CPA in line with other devices and improve the efficiency of our campaigns. We’re all used to desktop being the star of the show, bidding-wise. We’ve had the choice to do anything from excluding mobiles altogether to increasing bids by 300 percent. But in cases where mobile performance differed drastically from desktop, this could prove very restrictive. And when you think about user behavior and the prevalence of mobile device usage, it’s about time we were able to focus our efforts on the devices that really matter. At Merkle|Periscopix, we’ve seen what is a very common trend: mobile impressions growing to the point where in April of this year, they overtook desktop for the first time. Desktop made up just 36 percent of client impressions last month, compared to 57 percent in May 2015. And while tablet hasn’t seen the same meteoric rise as mobiles, impressions have grown by 20 percent YOY. You can now create campaigns that only target mobile or tablet, should you so choose. While going back to the days of separate campaigns for each device may not be prudent, in some instances the ability to implement device-specific strategies in this way is a really exciting prospect. With these changes, Google further acknowledges that not all devices are created equal and hands back a level of control which was taken away with the release of enhanced campaigns. It would be wise at this point to identify areas of your accounts which could benefit most from these changes, so that when they’re rolled out you’re already to take full advantage of them. Laura Collins is PPC Team Leader at UK based paid media agency, Periscopix, a Merkle company. In her three years in digital marketing, she has acquired in-depth knowledge of AdWords, Bing Ads, and several other platforms. She has managed accounts across a range of sectors with a specialisation in finance. Laura is a regular contributor to the Periscopix blog and also published the company’s first whitepaper, which was later promoted by Google. Tags:Channel: SEMGoogleGoogle: AdWordsPaid Search ColumnSearch MarketingSearch Marketing: General.